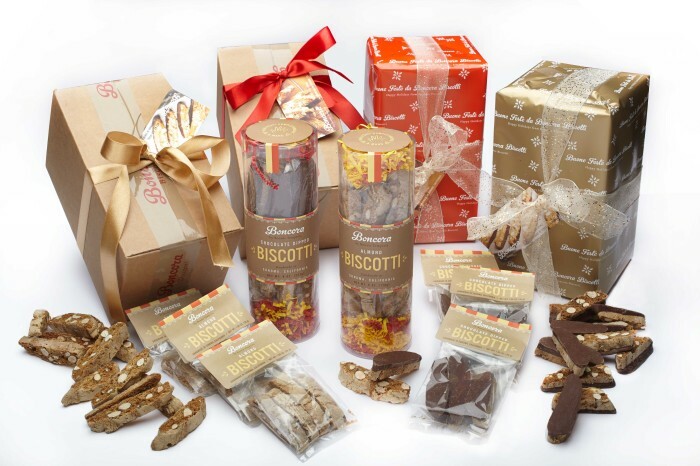 Boncora Biscotti are handmade in Sonoma from a family recipe passed down through the generations. Made from local, all-natural ingredients, these crunchy biscotti di Prato were introduced to the American food scene when Bonnie Tempesta and her mother, Aurora, founded La Tempesta Bakery Confections in 1983. The cookies became a national sensation, named the #1 domestic biscotti by the Washington Post and earning Bonnie the title “Queen of Biscotti.” Bonnie sold La Tempesta in 1997, but tired of the low quality of mass produced Biscotti, she came out of retirement in 2012 to found Boncora Biscotti. Sadly, Bonnie passed away in September of 2014 after a short battle with cancer. Determined to carry on her mother’s legacy, Bonnie’s daughter Daniela stepped in to continue the tradition of making irresistible biscotti with love, commitment to excellence and, of course, the same delicious recipe! Buon Appetito from our family to yours! You can read a more in-depth interview with Bonnie Tempesta shortly after she started Boncora here.